Do you like Eggs Madness? Share it with your friends. 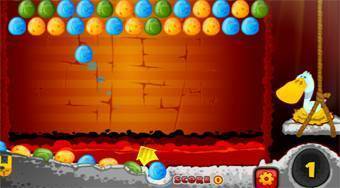 Eggs Madness is a great perception flash game in which your task will be to help duck mama save her eggs with offspring that dropped out of the nest inside the volcano. Shoot the colored eggs on the board to free the poor ducklings.